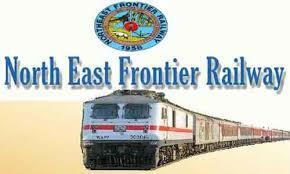 The Northeast Frontier Railway (NFR) has the highest amount of passenger earnings as compared to all other zones of Indian Railways. Apart from the increase in passenger earnings, there has also been an increase in passenger growth and ticket-checking revenue, reports The Morung Express. Chief Public Relations Officer of NFR , Pranav Jyoti Sharma said that the originating earnings of NFR has been Rs. 1, 242 crores which is 11 per cent more than last year against the all-India growth of 5.42 per cent. Sharma also said that the number of passengers carried by NFR zone has also increased by 7.17 per cent and the earnings from ticket checking drives have also recorded a growth of 33.29 per cent as compared to last year. The NFR has introduced several additions for the comfort of its passengers and also to increase its efficiency of its services. NFR introduced six new regular express trains recently and also improved the carrying capacity of six pairs of trains by attaching 26 additional coaches creating 2024 additional seats. The Agartala-Anand Vihar Rajdhani Express has been provided with free Wi-Fi entertainment system in November last year due to which passengers get to enjoy various forms of entertainment from their Wi-Fi enabled devices while travelling. The NFR has also introduced live streaming facility of Katihar base kitchen and it has been made available on the IRCTC website for greater transparency. The NFR has also installed CCTV cameras in eleven kitchens.